Don’t forget to treat your skin with love and care. Skincare during the cold months tends to require a bit more of us than when it’s nice and warm outside. You may be noticing that you’re a lot dryer lately than during the other months – and maybe you even see a skin condition returning which you normally don’t have to put up with. The reason is, of course, that the weather outside is so cold and the electric heating we put on indoors isn’t really making the situation any better. Our faces are dry, lips chopped, and hair static so we keep looking forward to better times when the sun makes everything work properly again. If you’re tired of only looking your best when it’s warm outside, it’s time to take back control over your skin and hair this winter. It won’t necessarily be easy and you will definitely be fighting a battle against the elements – but it will all be worth it when you can get started on your summer glow without having to do damage repair first. 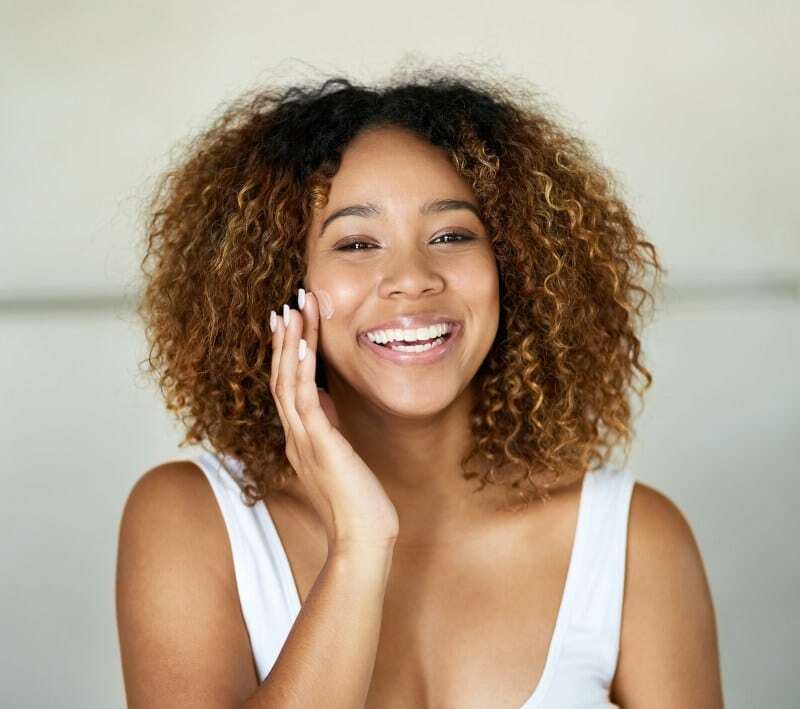 Here is a handful of ways to step up your skincare and hair routine this winter, find ways to feel a bit less dry, and enjoy a feeling of skin that is both smooth and moisturized throughout the winter. First of all, it’s important to keep in mind that all skin is different. Even if most people seem to suffer from dry and cracked skin during the winter, you won’t necessarily have it the same way – and if your skin is perfectly hydrated and smooth with the lotion you’re currently using, there’s no reason not to stick with it. You don’t really have to swap out your entire skincare collection just because it’s winter and the Internet seems to tell you that this is the best way to go. Consider how well it is working for you, first of all, and give yourself a little skincare consultation before you decide to sway anything else out. Your facial wash, for example, may be a bit too harsh when your skin is dry so keep in mind that this could be drying your skin out rather than a moisturiser that is too light. If your skin is feeling tight within a minute or two after you’ve stepped out of the shower and dried your face, you might want to invest in a new one that works better during the cold months. The same goes for your scrub, by the way, which might be much too harsh at this time of the year. It is particularly important that you are gentle with your skin and not being too harsh when treating it – if your skin is dry, a scrub is likely to make matters a bit worse. See if you’re able to find a face mask instead, for example, that aims to hydrate your skin and includes a few scrubbing elements. Just work your fingertips in circular motions when washing it off and your skin should be silky smooth and perfectly scrubbed afterwards – it doesn’t really need much more scrubbing than this. As mentioned, it’s the elements that are working against you and your perfect skin this season. Finding your way to work early in the morning with the wind in your face and a cold, harsh splash of rain against your cheeks before seeing everything turn into frizz when you sit down at your desk a bit later. It’s actually no wonder that everything is so dry and sensitive lately. The best way to deal with this is to simply protect your skin from all of this harsh treatment. While you can’t really demand a different central heating in your office or even your home just for the sake of your appearance, you can definitely make sure that you’re a bit warmer when making that ice cold commute in the morning. Proper warm clothing such as real fur coats for women will make it a bit easier to push through the cold and you won’t really feel it as much. Remember to cover up your hands as well, by the way, and especially if these are also suffering from dry spots and redness. A nice and warm coat, high-quality gloves, and a hat to cover up your head as well as your hair should be enough to keep you warm and maintain that skin glow for a bit longer. Plus, you won’t freeze too much on that commute which should, after all, be more than enough reason to cover up this winter. A lot of skincare problems seem to come from the inside rather than the outside which actually makes a lot of sense when you think about it. As the largest organ you have, your skin is there for the simple reason to protect your inner organs and general tissue from the elements. It doesn’t matter too much to your body if it’s beautiful as long as it works – and if you’re dehydrated, your body is going to help itself to your skin in order to keep your vital organs going. This is a good thing, though, and certainly not something to wish away but you can still make sure that you’re hydrated enough to feed your skin as well. Make sure that you get more than enough water during the day and fill up on healthy fats as well in order to keep it moisturised. Luckily, the healthiest fats are also the most delicious foods so fill your grocery basket with avocados, nuts, fatty fish, olives, coconut, and everything else that will keep your energy levels up and your skin nice and moisturised during the day. This is the kind of diet choices that you’re not going to want to break so indulge a bit more this winter to keep those cracks at bay. Finally, it’s a good idea to get sufficient exercise as well even if your energy levels are bit lower during the winter. Cardio exercise will ensure that you still have a healthy glow and that your skin looks healthy rather than dull – it will feel great too, by the way, so there’s no reason to keep paying for that gym membership without using it.